Part of the Brown Betty’s charm and claim to fame is that it is made from red clay, or terra cotta, making it a ceramic tea pot. What the heck is terra cotta, though? It translates from the Italian to “baked earth.” It is a porous clay that is mostly used for sculptures and flower pots after being fired to almost 2,000 degrees F. Without the Rockingham glaze (or the newer cobalt) to seal it, it would be useless for the Brown Betty. Rumor has it that glazed terra cotta will ring if lightly struck. This wraps up our series on the Brown Betty teapot, but before we go, I of course wanted to point you in the direction of something good to eat. Brown Betty is also a delicious fruit compote, usually apple. There are myriad recipes out there, and as this is a decidedly American dessert, I won’t ask Julia to jump through our hoops to try to “British it up.” But I am including her recipe for apple crumble. I like to cook the apples and add sugar before I start but if you are using fruit from a tin it may not need cooking or sweetening. Put the fruit in a greased oven-proof dish. Rub the butter into the flour until it resembles fine breadcrumbs and then add the sugar. 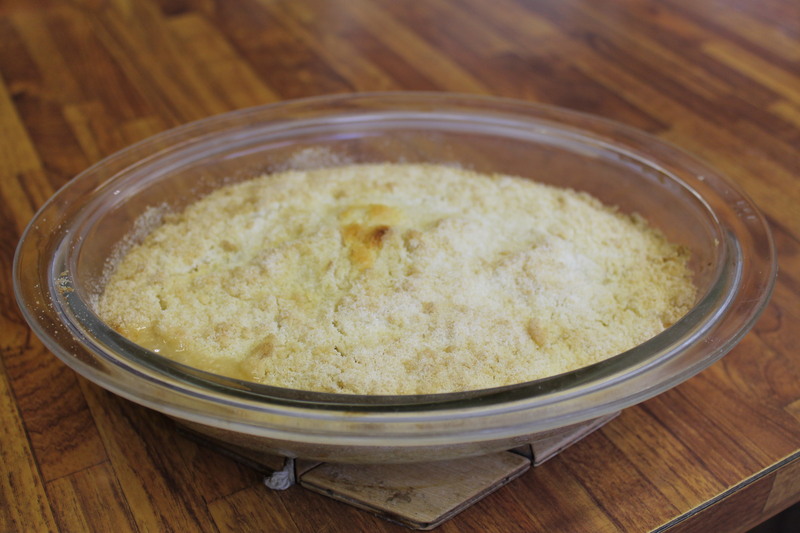 If liked, sprinkle some cinnamon over the apples and then spread the crumble evenly over the top. Bake for about 30 minutes until golden on top. Editor’s Note: We carry a crumble mix that makes this easy-peasy recipe even easier-pesier!